14 Ways Linen Rental Helps Your Company Go Green! 14 Ways Linen Rental Helps Your Company Go Green! Home » News » 14 Ways Linen Rental Helps Your Company Go Green! 14 Ways Linen Rental Helps Your Company Go Green! Since our founding in 1934 we have been committed to running an environmentally responsible business. Your Linen Service utilizes many recycling and reusing strategies to ensure we are operating with full environmental consciousness. Which means, by using our linen rental program, you are doing your part to help keep the environment clean. Your Linen Service uses 64% less water, 73% less energyand 90% less chemicals when compared to doing laundry at home or on-site. Our company provides eco-friendly products that can be reused and recycled, such as MicroTex Eco Towels, Single Service Towels and Reusable Mats. Our washing facilities use both natural and energy-efficient lighting. Locations are equipped with energy efficient steam generating systems. We use heat re-claimers to recapture the energy from used process water which is filtered before discharging back to our municipalities. Our delivery fleet includes hybrid vehicles and fuel efficient aerodynamic vans. We operate with a computerized routing delivery system ensuring reduced miles and delivery costs. We endorse recycling hangers used on all hung garments and encourage cloth gowns compared to paper gowns for our healthcare customers. 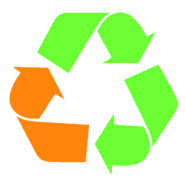 We offer recycling programs including selling rag bundles, recycling pallets and returning chemical barrels to their manufacturer for reuse. Locations pre-sort, separate and arrange laundry by soil counting to ensure proper load size, correct wash formulas to reduce chemical usage and dry time. Washing systems incorporate normal batch washers which use half the water compared to conventional water extractors. Soap and starch are cooked on site and use only environmentally and natural chemicals to provide green laundry service. We conserve water with our water reuse system.